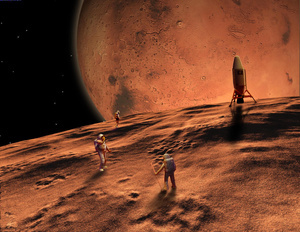 Was there ever life on Mars? In fact, could there still be microbes living on Mars now? It’s still a distinct possibility. 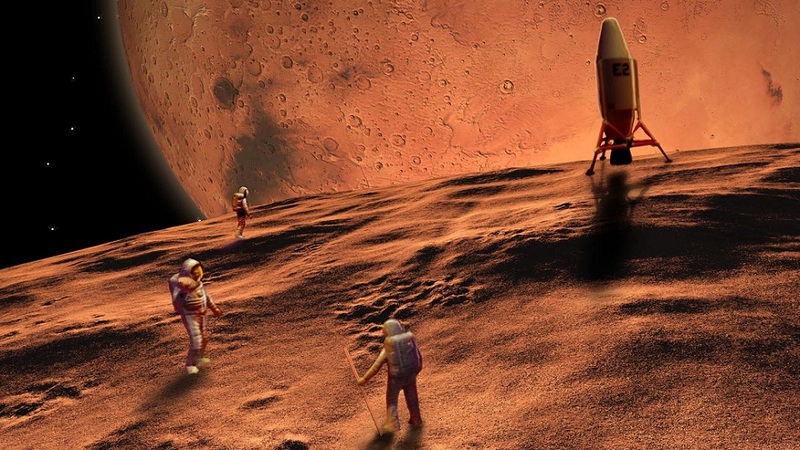 But given the difficulties involved in sending people and specialized equipment to Mars to look for samples, we could be waiting decades to find out. So it’s a good thing there’s a ready alternative: according to scientists, any life that exists on Mars may well also exist on its moons, especially Phobos. Melosh and a team from NASA’s Planetary Protection Office tried to figure out if a sample from Phobos might contain enough recent material from Mars to include viable Martian organisms. 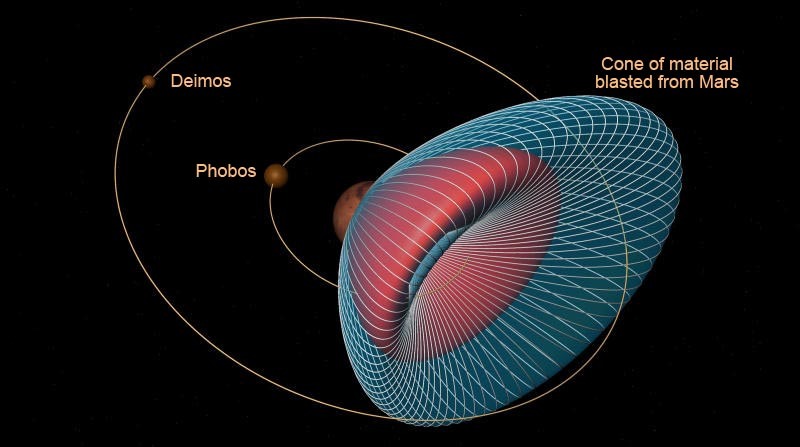 The idea was that if asteroid impacts on Mars could launch material later found on earth, it would be even more likely that similar material would be found on the Martian moons… particularly Phobos, the one nearest the planet. Melosh and his team concluded that a seven-ounce sample scooped from the surface of Phobos could contain, on average, about 0.1 milligrams of Mars surface material blasted from Mars over the past 10 million years and as much as 50 milligrams of material from the past 3.5 billion years. They presented their findings at a joint NASA-European Space Agency meeting in Austria. When an asteroid hits the surface of a planet it blasts a spray of material into space. The result of such a blast on Mars would be particles about one-thousandth of a millimeter in diameter, or 100 times smaller than a grain of sand — about the size of terrestrial bacteria. By plotting more than 10 million possible paths such particles could take — including possible speeds, angles of departure and orbital forces — Melosh’s team figured out which trajectories would be most likely to intercept Phobos, and where they might land on the moon during its eight-hour orbit around Mars. Shortly after Melosh and his team submitted their report, a 37-mile-diameter crater was found on Mars. Dubbed Mojave, it is estimated to be less than 5 million years old, which means there might be an even greater amount of Martian material on Phobos containing viable organisms than they’d estimated. Next Next post: Would you want to survive the end of civilization?